EXCLUSIVE The Wrenchmonkees have just released a new machine into the wild. 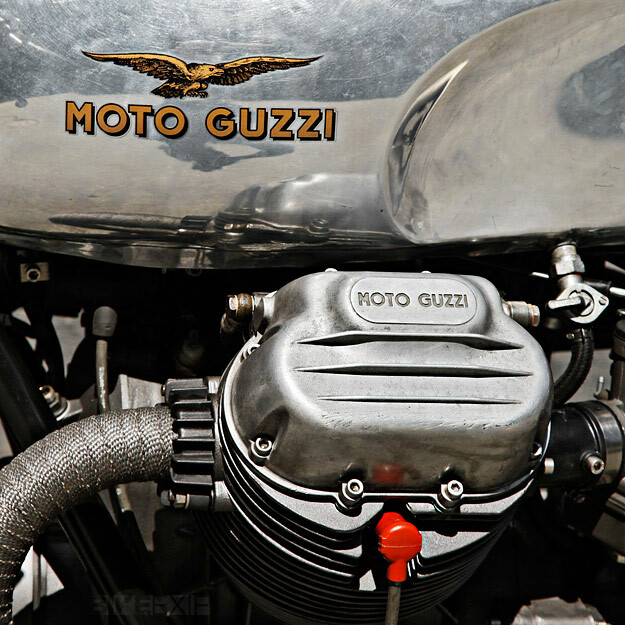 It’s a rebuilt 1974 Moto Guzzi 850 T and the lucky owner is a Norwegian called Pål, from Oslo. 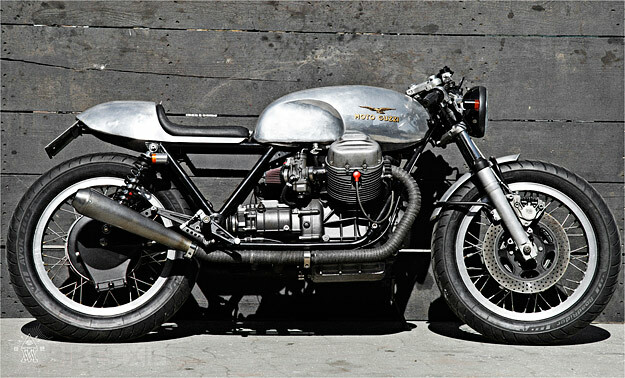 When he dropped off his Guzzi at the Wrenchmonkees’ workshop in Copenhagen it was yellow, so the bike was quickly stripped back to bare aluminum for a more classic look. 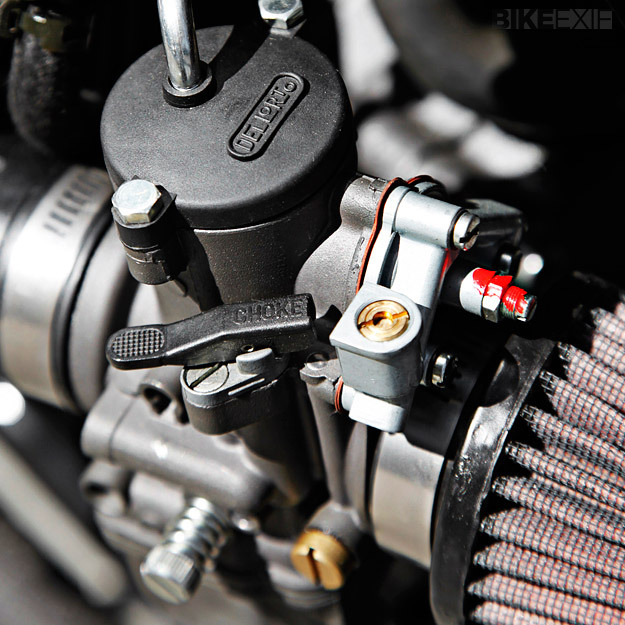 The ‘Monkees then rebuilt the engine, and fitted Dell’Orto carbs, K&N filters and a Dyna electronic ignition to boost power. The wiring is all new, and now hooked up to an Odyssey battery. The bodywork is mostly custom-made, with a new seat unit and fenders, and looks just sublime. To create a more aggressive stance, the rear frame and the front fork were both shortened, while Bitubo shocks were fitted to keep the rear wheel planted. (The Guzzi already had a Brembo braking system upgrade, so that was left alone.) 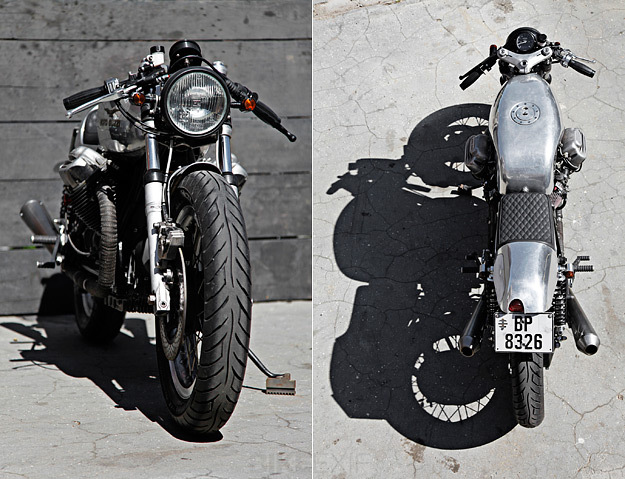 The 18” Borrani-style wheels are shod with Avon tires, and the 6” headlight is from a Honda CB400. It’s matched to Daytona blinkers and a proprietary Wrenchmonkees taillight, with instrumentation and control switches from Motogadget. Simple, classy and effective, and a return to the Wrenchmonkees’ traditional monochrome styling. Fancy this one in your garage? The full photoshoot is over on our Facebook page.